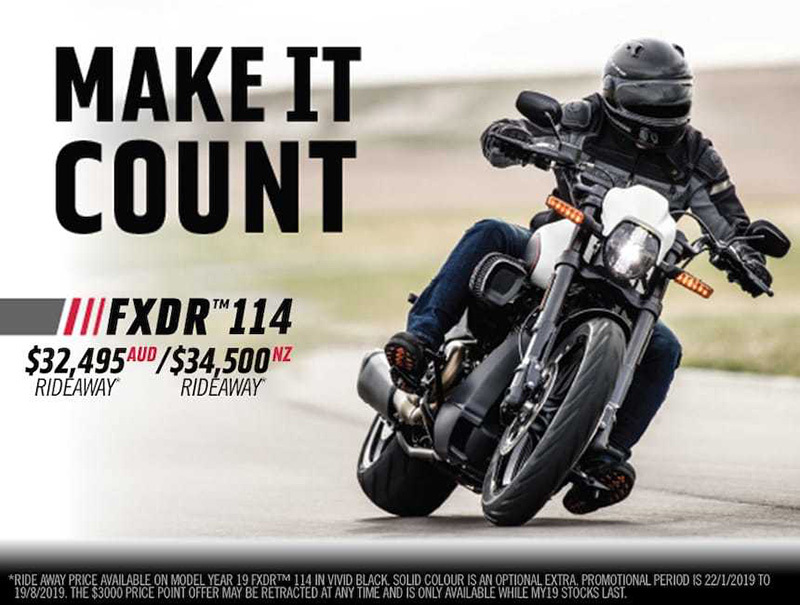 Get in touch with your local Harley-Davidson® dealership and take a test ride today. DON'T CHASE YOUR DREAMS. OWN THEM. 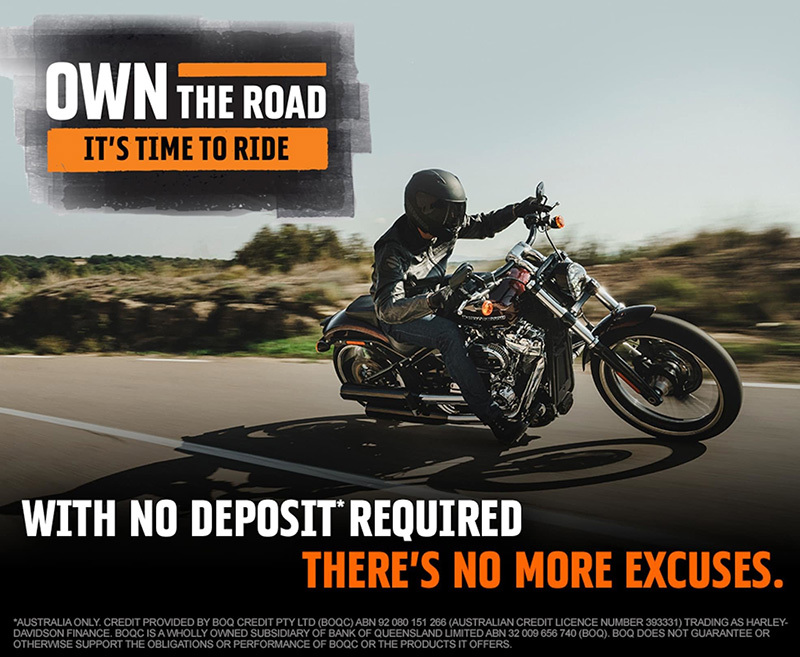 There is no better time to own a new Harley-Davidson® motorcycle with some great offers on our 2018 range now available. 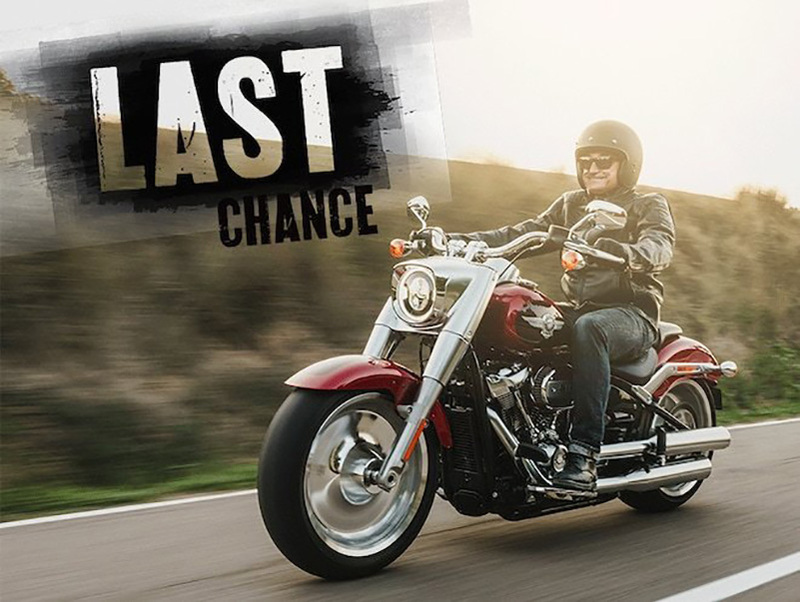 The Harley-Davidson Last ChanceRun Out gives you the opportunity to make some fantastic savings across a wide range of our 2018 motorcycles. Please note that this is only while stocks last and for a limited time only. 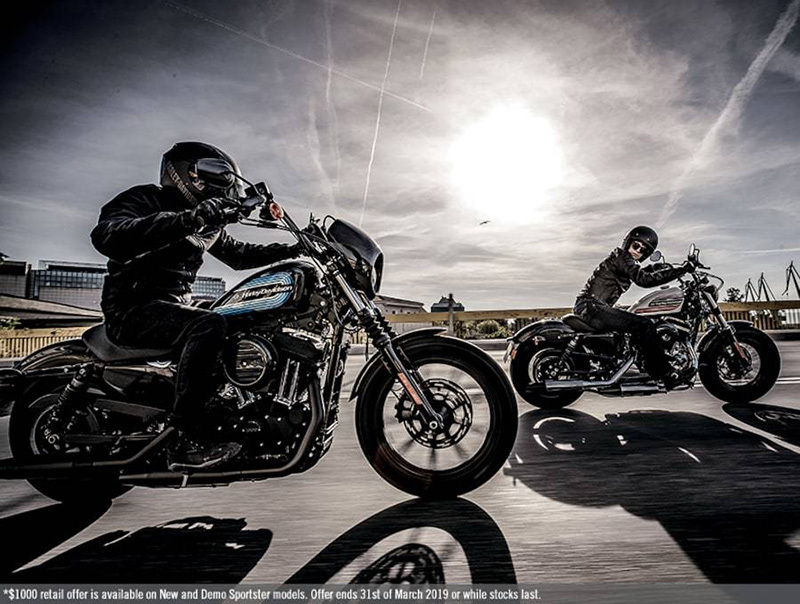 Visit your local Harley-Davidson dealer or submit an enquiry. 1.Availability of colours may vary from dealer to dealer and is subject to change without further notice. 2.Recommended 95 octane or higher fuel (R+M)/2. 3.Values shown are nominal. Performance may vary by country and region. 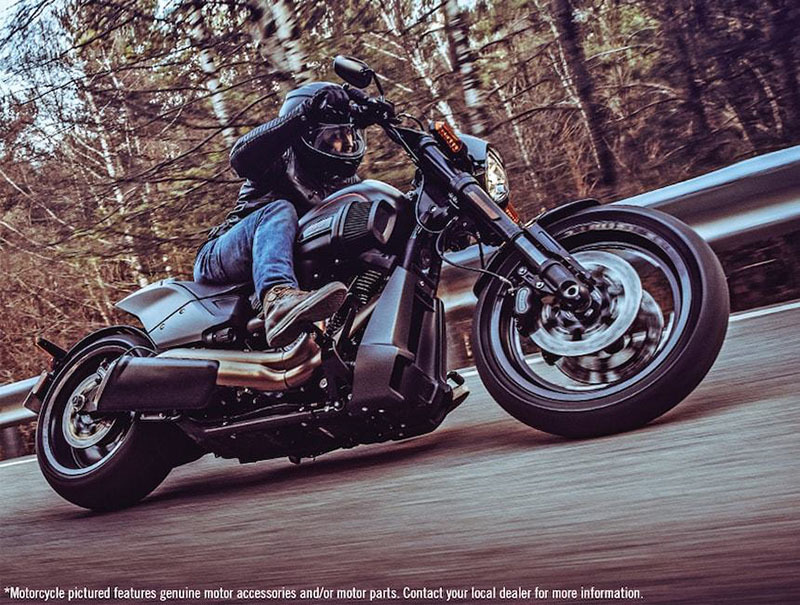 4.See motorcycle owner’s manual for complete details. 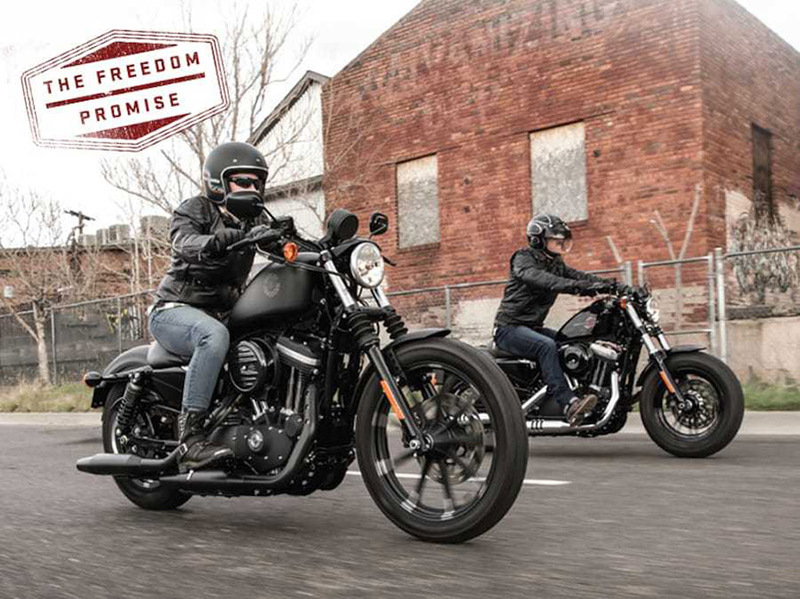 5.All models include security system *, 24 months Harley Assist, and 12 months International HOG membership. Price advertised is the maximum dealer ride away price. Offer ends Aug 31, 2018 unless extended. For Australia the ride away price includes 12 months private registration, 12 months Compulsory Third Party Insurance, Dealer Delivery and Stamp Duty ^. Optional extras not included. Full details on pricing can be obtained from your local authorised dealer. ^Ride Away pricing for Australia is based on a purchaser with a good riding record- may be higher for other purchasers that do not meet this criteria. 7.Standard and optional wheels may vary by country and region. 8.Model specifications, including fitted parts and accessories vary by country and region.